Sitting perched between two gable roof pitches, it's easy to understand why the homeowners refer to this bonus 3rd floor space as "the Nest". When they originally moved into their home the space was ill-used, and looked more like a mini-golf green than the bright and airy guest space they envisioned for it. This budget-friendly interior renovation has transformed "the Nest" into a unique retreat for friends and family. 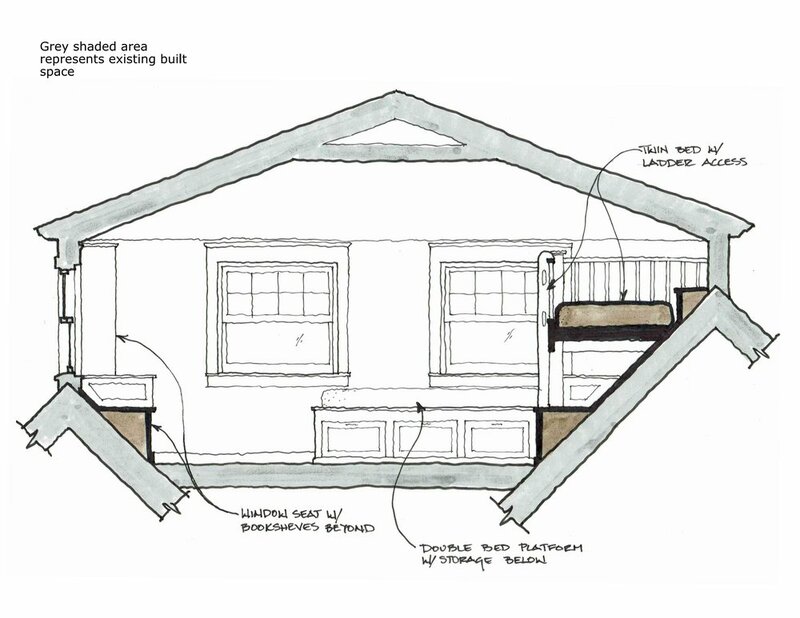 While the walls enclose 190sf of space, the usable floor space is only 91sf due to the pitches of the adjacent roof lines and a stair well leading up to it. 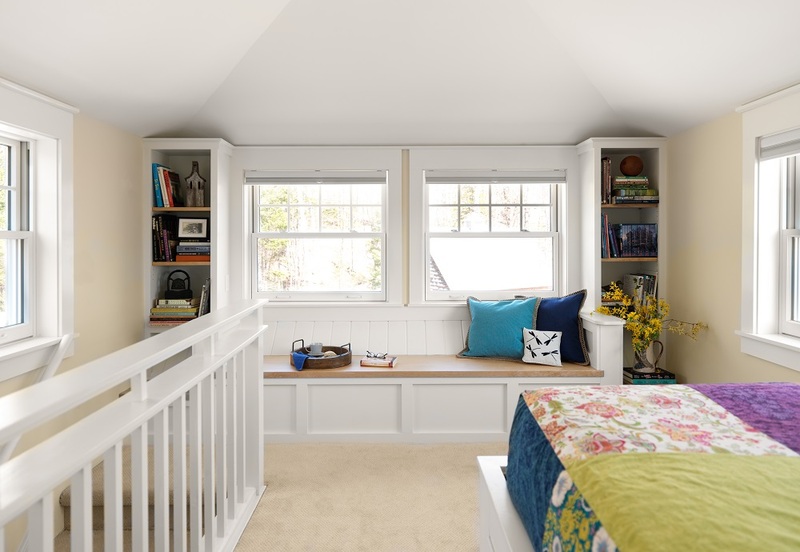 By arranging built-in shelves, seats & a bed platform along it's sloped edges, we were able to increase function while maintaining open floor area. Interestingly, the room feels more open than it did prior to the renovation.